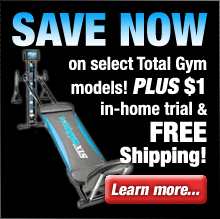 Free Shipping and No Sales Tax When You Purchase Direct From Sole Fitness! Sole Fitness SB700 bike provides an exceptionally comfortable workout as well as commercial-grade performance for an affordable price that allows you to get a gym quality workout in the comfort of your own home. Advanced ergonomics, an impressive array of innovative features, and heavy-duty construction add up to a top quality indoor exercise bike that will have you well on the way to achieving your fitness goals in no time. When Sole Fitness designed the SB700 one of their primary considerations aside from rugged durability was engineering the bike for superior comfort. Sole Fitness recognizes that discomfort is not necessary for fitness success and in many cases is an indication that something is wrong with your workout or equipment. For starters the adjustable seat and handlebars move up and down as well as fore and aft, allowing you to find just the right settings for a great workout. Beyond that a quiet and smooth ride is ensured by the heavy-duty 48 lb chrome plated flywheel and Kevlar braking system. Additionally the SB700’s ergonomic design is unique because of its specially designed pedals. The 2 degree inward cant on the pedals prevents aches in the knees and feet from occurring by aligning the joints in their correct posture during your workout. To keep you fully informed throughout your workout the SB700 includes an integrated console that displays RPM, time, KCal, distance and speed. It’s also compatible with the included wireless heart rate chest strap, designed to ensure that you stay within your heart rate training zones and get optimal results. All things considered the SB700 light commercial bike from Sole Fitness is an impressively engineered and well-built exercise bike. It’s also a stylish fitness machine that looks awesome! The SB700 bike from Sole Fitness is designed to provide a powerful total body workout that will get you in shape fast while also being friendly to your budget. It’s well suited for use in the home or a light commercial environment. Sole Fitness exercise bikes are an excellent choice if you’re looking for an affordable commercial-grade fitness solution. If you’re serious about getting into better shape and staying that way Sole Fitness offers the affordable solution you’ve been looking for. What are you waiting for? 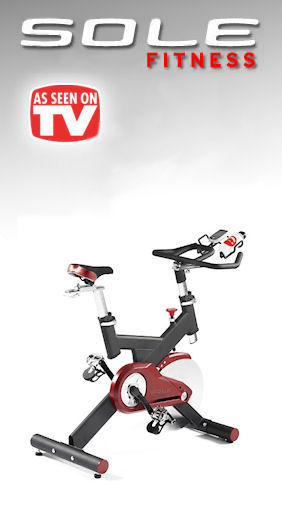 Order a Sole Fitness SB700 bike and get ready to watch those extra pounds melt away! 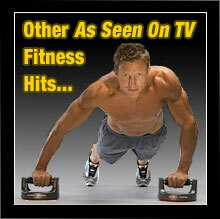 Sole Fitness machines are superior products, and Sole Fitness stands behind each and every one. Your satisfaction is guaranteed! Just purchase your machine (direct from Sole Fitness) and workout for up to 30 days. If you’re not 100% satisfied with the results, simply contact their customer service department for a Return Merchandise Authorization (RMA) number, return the machine (including any accessories) in its original condition and packaging to receive a full refund, less shipping & handling and an 8% restocking charge. All RMA numbers must be requested within the 30 day window, from time of delivery. * The above guarantee is for purchases made through Sole Fitness only. Be sure to check the current return policy of all retail partners presented on TVgyms.com for the most up-to-date information.